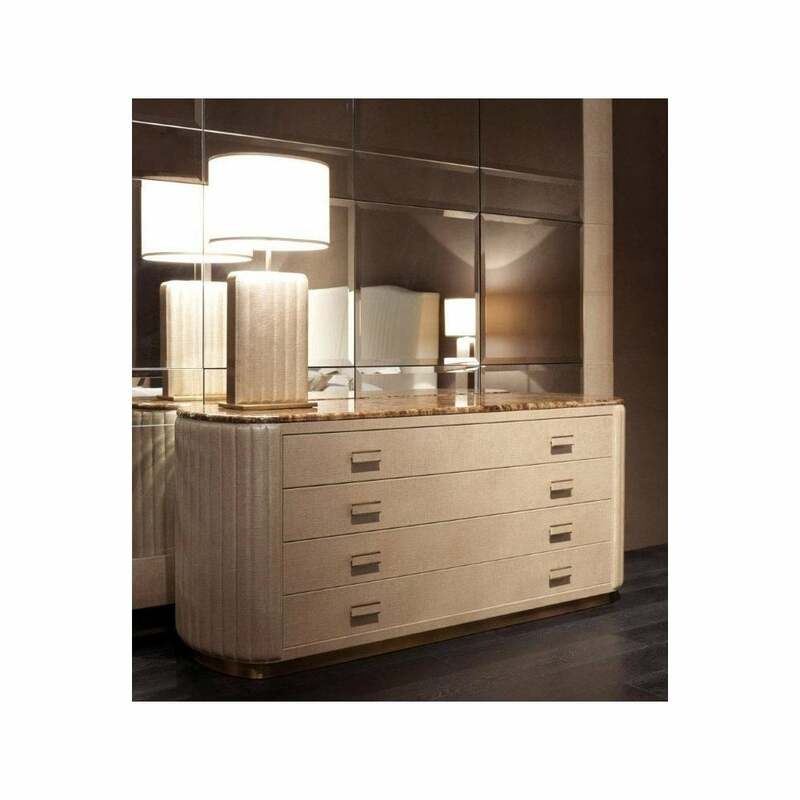 The Bach Chest of Drawers is part of the ‘Night’ collection by Rugiano Interiors. Hand-crafted in the heart of Milan, this sophisticated piece features a rectangular frame with soft, curved edges. Inspired by the glamorous designs of the Art Deco era, the chest is upholstered with the finest Pelle leather which is hand-stitched in vertical panels. Fitted with three drawers, use to store lingerie, nightwear and accessories. Sat on a solid plinth base, choose from either bronze or steel to complete the look. Finished with a dark emperador marble top, the contrasting surface reflects light around the space. Bach works beautifully with dark and dramatic interior schemes featuring charcoal grey walls and bronze fittings. Display photo frames and candles and finish with an elegant lamp such as the Madrid Table Lamp from the Rugiano Collection. Available in two sizes, get in touch with our team for bespoke options.